I've Made an Incorrect Purchase - What Can I Do? 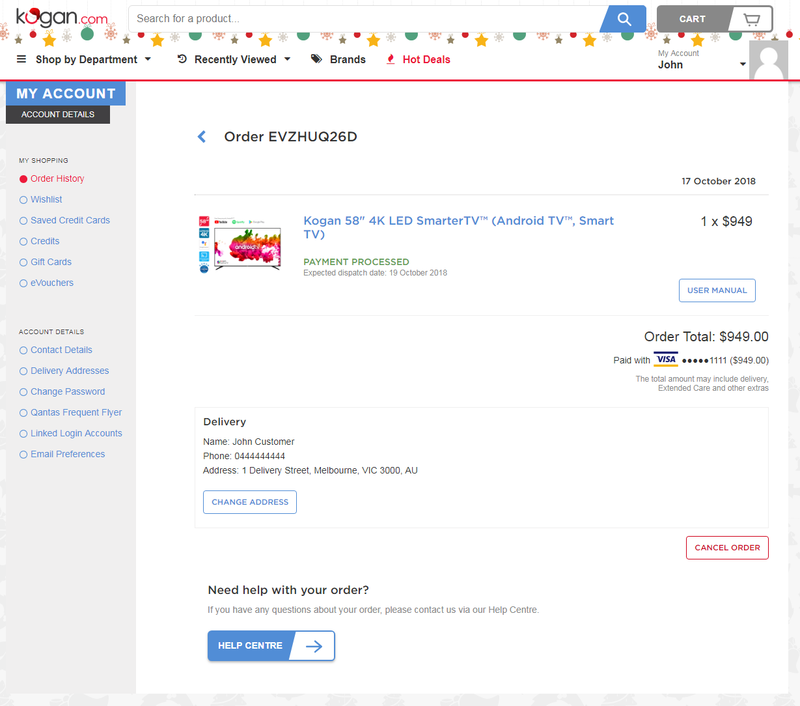 If you have not yet received your item you can attempt to cancel the order via your Kogan.com Order History. We're unable to make changes to one part of an order, so if you have accidentally included an item you didn't want in your order, please cancel your entire order using the Cancel Order button, and make a new purchase. Please note, you'll need to act fast, as once your order is processed and sent to our warehouse, it can't be changed. If you cannot locate a 'Cancel Order' button, this means that your order has progressed too far along for cancellation. Once your order is dispatched, you will receive tracking information via email. If you do not wish to keep the item, check our Change of Mind policy if the item is eligible for a Change of Mind return. Please note, this policy also applies to incorrect purchases. Please do not return your item prior to receiving a Return Authorisation number and label, as your item may not return to the correct location and may not be processed correctly. What to do if you have received the incorrect item?